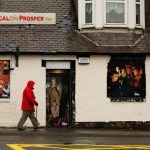 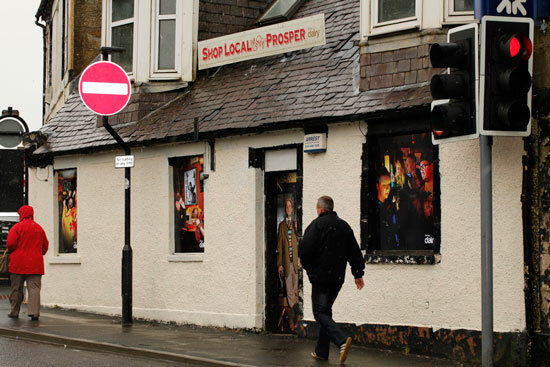 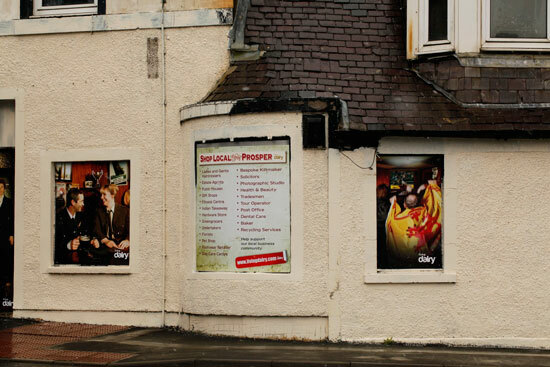 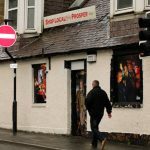 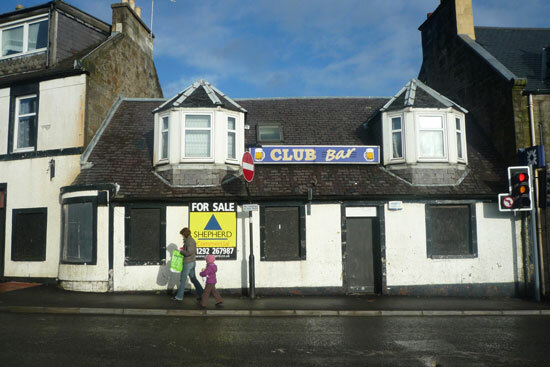 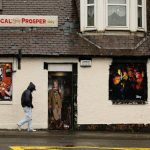 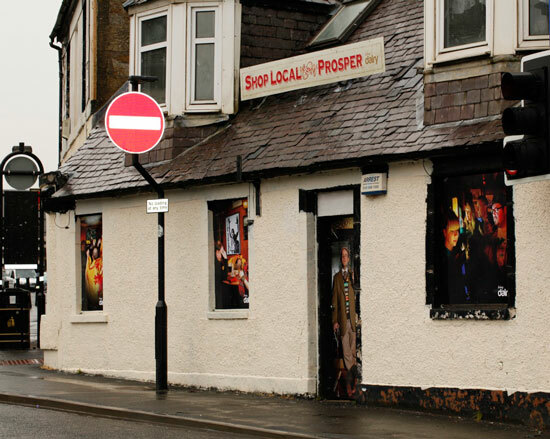 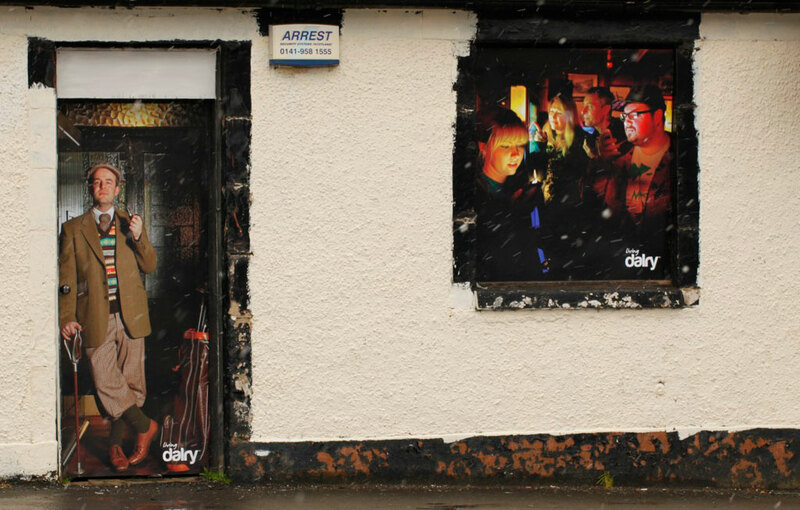 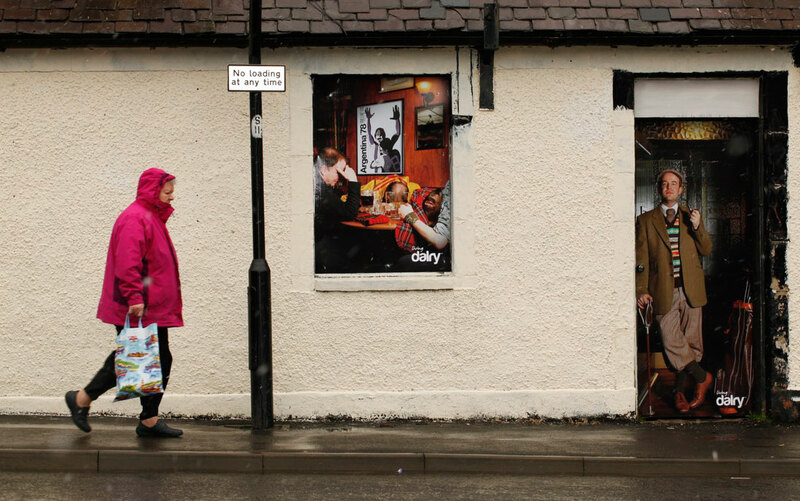 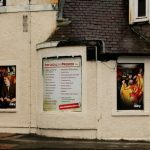 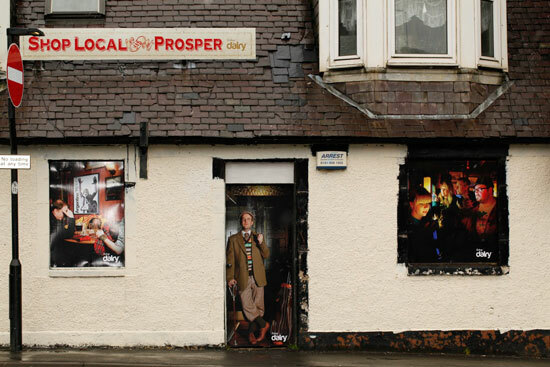 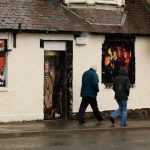 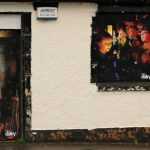 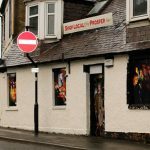 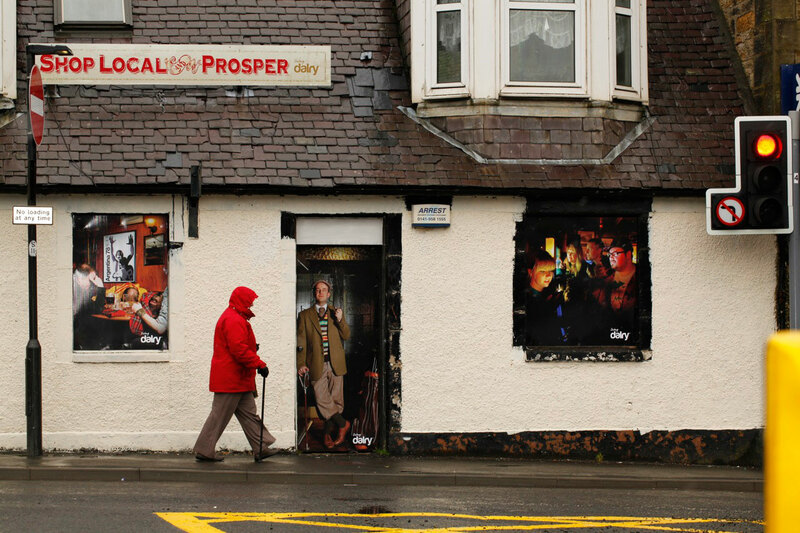 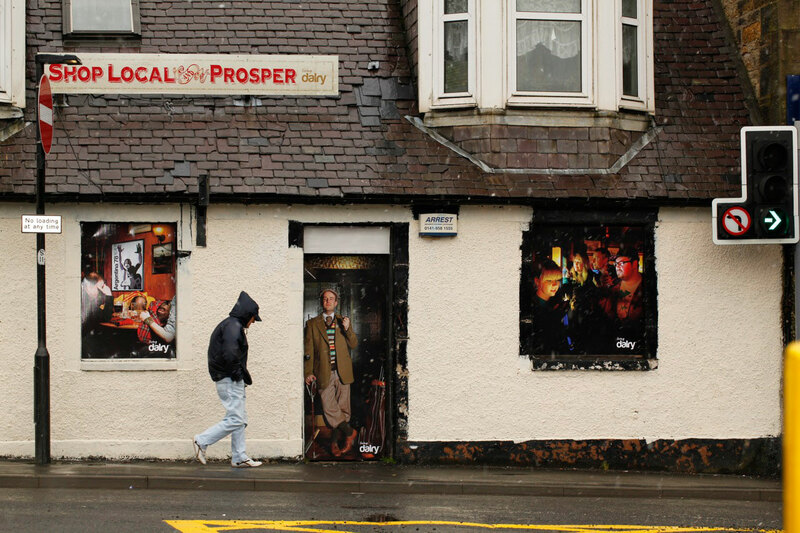 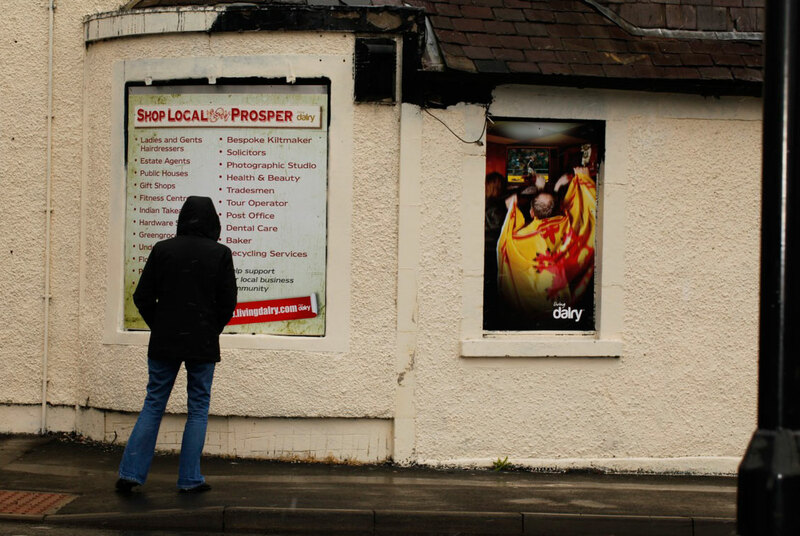 6274 worked with the Economic Development Department of North Ayrshire Council and local traders association Business Dalry to brighten up the windows and doors of a derelict local pub on a main junction of Dalry, Scotland. 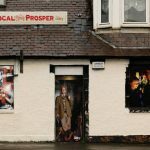 Our task was to plan, photography, design, print and install fantastic new graphics to the disused shop front that would get the community involved and also provide a memorable impact for passers by. 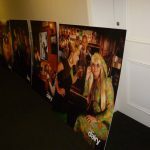 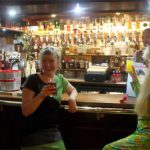 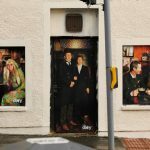 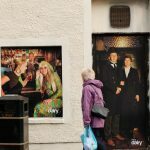 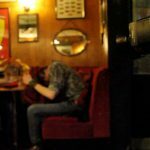 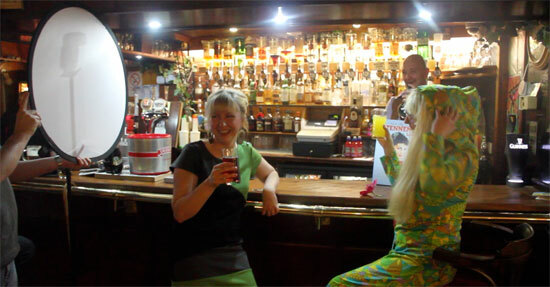 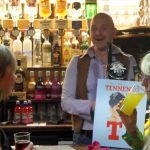 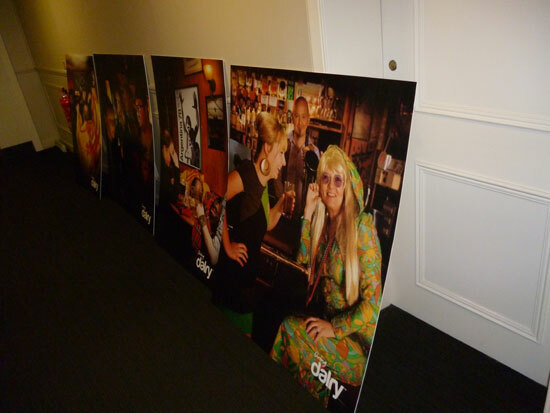 Rather than providing our own graphic images that would make the former bar come alive we decided to make the project relevant to Dalry by having a photo shoot in an existing local pub and get the local people involved. 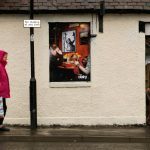 We planned each window to represent the town and the pub throughout the ages from the turn of the century, 1920s, WW2, 1960s, 1978 World cup to the present day. 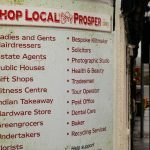 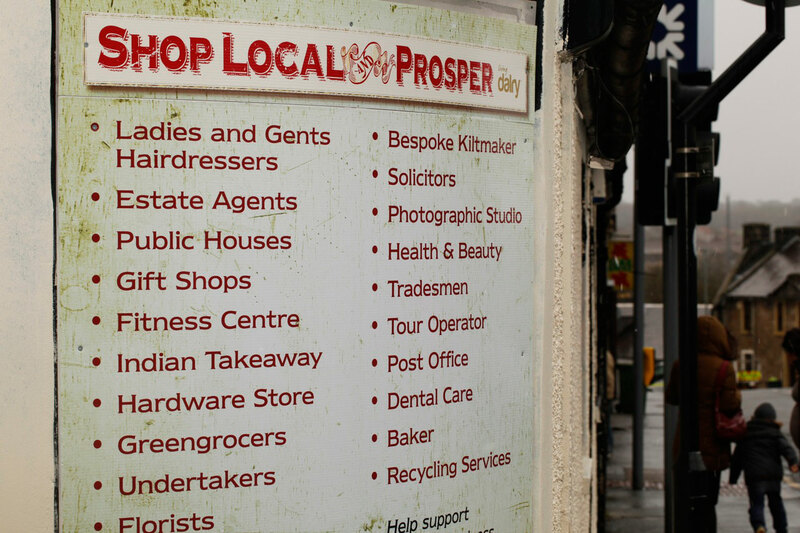 We also produced a new “Shop Local and Prosper” shop sign and produced a panel with all the businesses within the Business Dalry traders association. 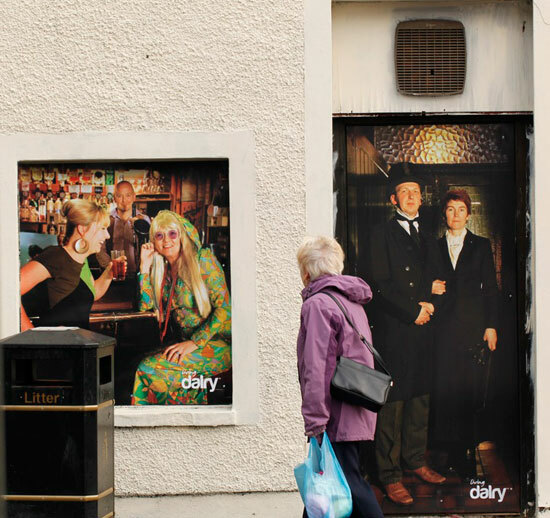 The idea was to get local people to dress up in costumes that represented each era covered in our brief. 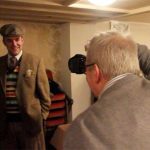 To help things along we provided our own costumes from specialists Haslemere Wardrobes as well as props and posters from various locations including the fantastic charity shop Cosgrove, to help make each photograph authentic to each era. 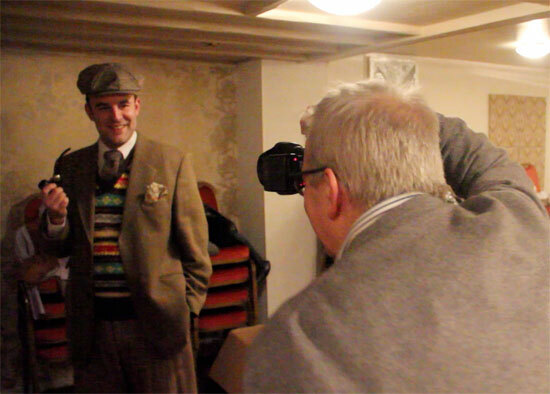 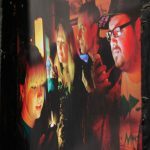 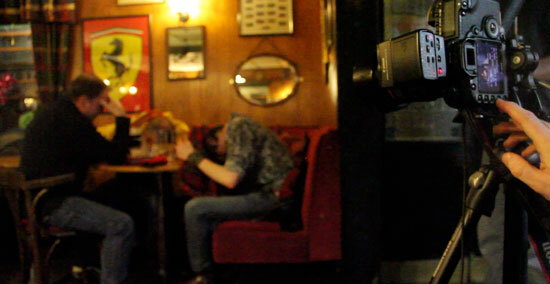 We then used our own photographer and design team to co-ordinate the night and even got involved in the photo shoot. 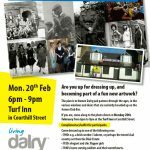 We then went round each business in the town with posters to promote the photo shoot evening as well as sending out press releases to local papers and websites. 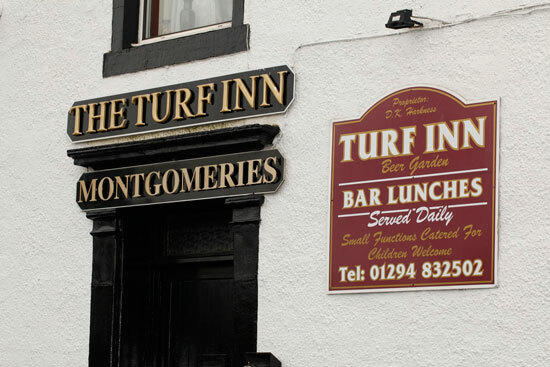 The photo shoot night at the Turf Inn, Dalry was a success and produced the fantastic photographs that we’re graphically enhanced for each window and door graphic. 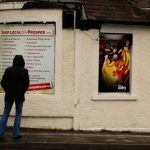 Once the final graphic displays were signed off we used our trusted suppliers and installation team to print photographic vinyl directly onto lightweight Corex board for the window and door panels and used Aluminum substrate dibond graphics for the main pub sign. 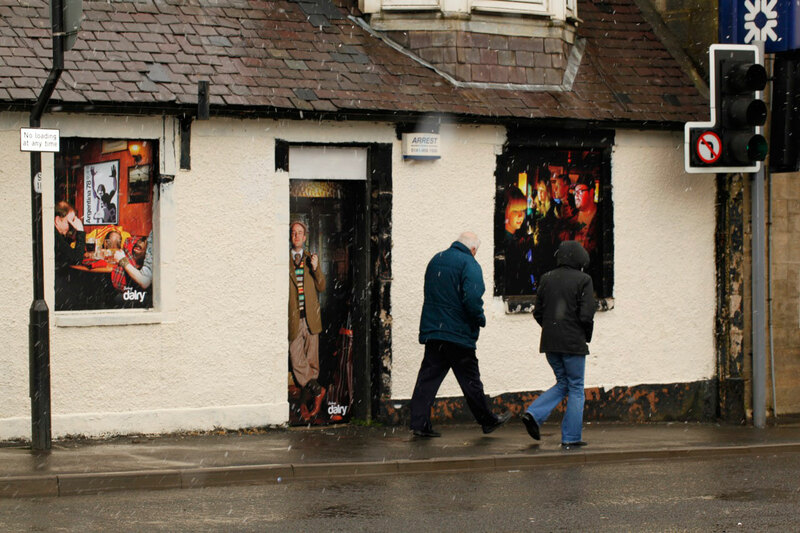 These were installed on Monday 2nd April and have already been a great talking point for local people and passers by. 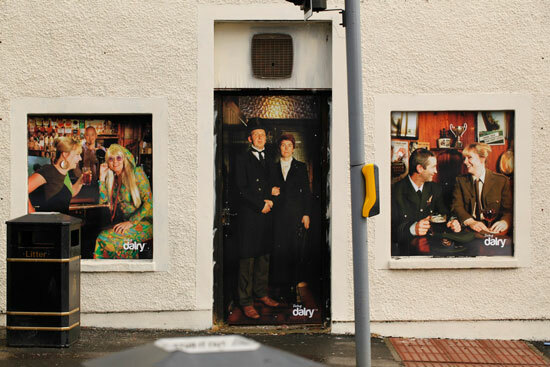 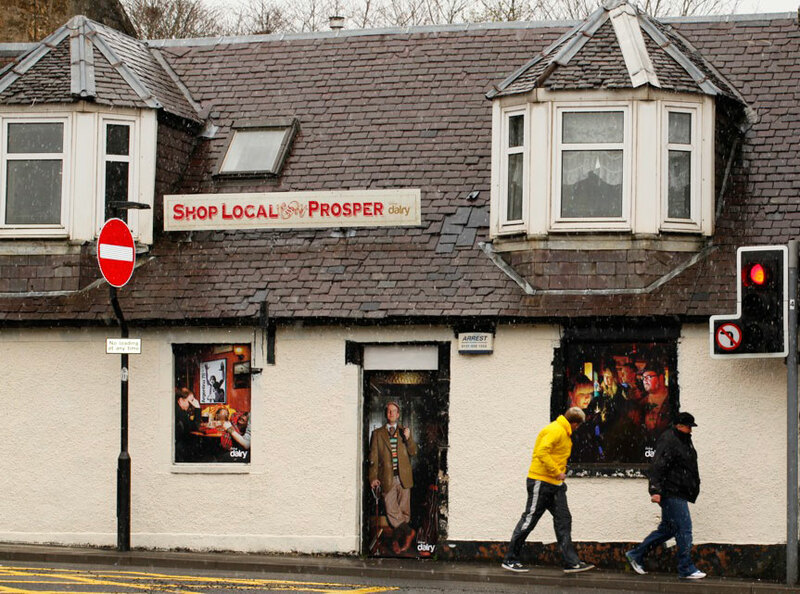 Have a look next time you’re passing through Dalry. 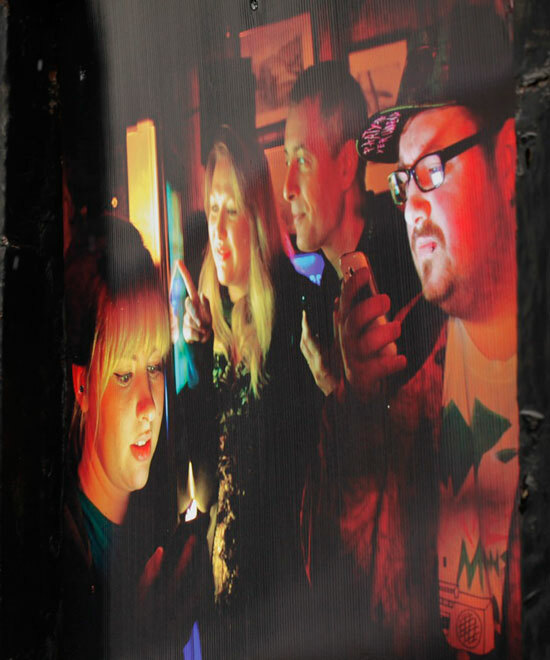 The team at 6274 Public Art would be delighted to hear your comments on the project. 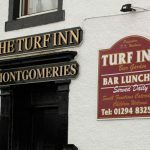 A special mention to Helen and Donald Harkness from the Turf Inn for all their effort. 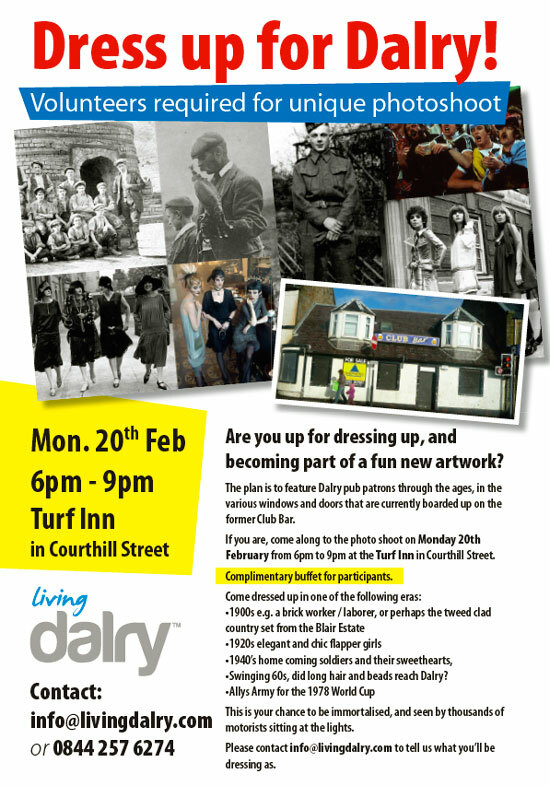 All Dress Up For Dalry Images Below. 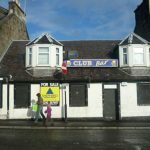 Please do get in touch on 0844 257 6274.